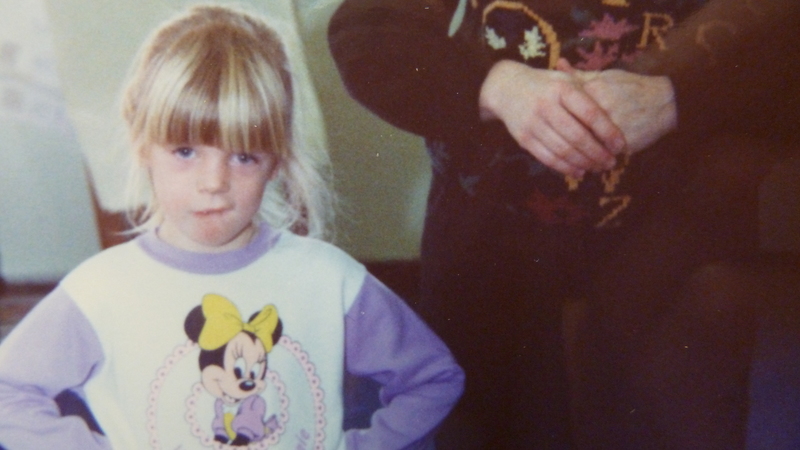 When my daughter when to preschool, she hated to be the last one to be picked up. I tried not to be late but when you are working and need to leave in the middle of the day for a pick up, things happen. That morning at work I previewed an old video, “The Estate Sale” for an upcoming meeting. The gist of the video was the story of a couple who had been “too busy” with other priorities while their children were growing up; the father even cancelled out of a graduation celebration because of work. At an estate sale after their demise, many keepsake photos from the family were put up for sale, pawed over by strangers. The viewer is left to ponder their own values. Suddenly I looked at my watch. Horrors! It was ten minutes to twelve. Would I be late? I got to her classroom about two minutes to twelve. There was no way all the other children could have been picked up already. I looked in the door. There stood Doreen looking bereft. Then it hit me. Perhaps I wouldn’t think of canceling out of a child’s graduation ceremony, but to Doreen, my showing up on time was, at this moment in her life, just as important. Then her face lit up. No, I hadn’t been the first, but at least there were still four other children waiting. Her hand felt better than usual tucked in mine as we walked toward the car. For once I didn’t hurry her, and we enjoyed the signs and smells of an early spring day. If I’m never late to pick up the children at school, never miss a recital or a school play—will this guarantee kids who keep in touch as we get old? Of course not. But I think there are patterns to our lives that increase the odds of our children growing up to be a blessing. Do I worry more about things—about the next acquisition, than the happiness of friends and relatives? Do I take time for them when it counts, not just when it’s convenient for me? Surely a part of being more mindful of our actions, thoughts, and integrity during Lent can include evaluating our relationships with those we claim to love the most. Action: If I’ve made choices in the past with my family that I now regret, can I reach out to someone even now? 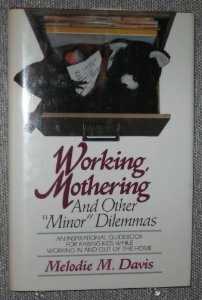 I wrote about the many dilemmas of being an employed mother in one of my first books, Working, Mothering, and Other “Minor” Dilemmas published by Word Books in 1984. I have some really really cheap “out of print” copies I’m happy to give away, for the cost of postage and handling, about $3. Some of it is dated but many of the principles, as above, work in any era. Let me know if you’d like one and I’ll send you one or if you are local, you can pick one up. « Day 29 of Lent: Why doesn’t God come down?